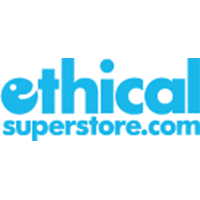 ● Ethical Superstore has a 30-day “no quibble” full-refund return policy on all products. ● Delivery is free for mainland UK orders over £50. ● Check the Special Offers page to browse hundreds of items discounted 5% and up. ● You can look here to see which ethical products are covered under Ethical Superstore’s Best Price Guarantee, which pledges to refund the difference between their price and a lower competitor price for the same product. Ethical Superstore offers a variety of home products, lifestyle products, and much more. The main component to this online store is that everything that is available has been manufactured and sold through ethical practices. To that end, you can focus your search for groceries, home and garden, fashion products, and other items according to certain ethical demands. You can shop according to such ethical categories as fair trade, certified organic, vegan, cruelty-free, FSC certified, recycled, gluten-free, and many others. You can also use this website to shop for health and well-being products, beauty products, electronics, and appliances according to a diverse range of brands that meet certain ethical standards and requirements. For most up to date offers check out Ethical Superstore on Facebook and Twitter or contact Ethical Superstore Support for any questions.